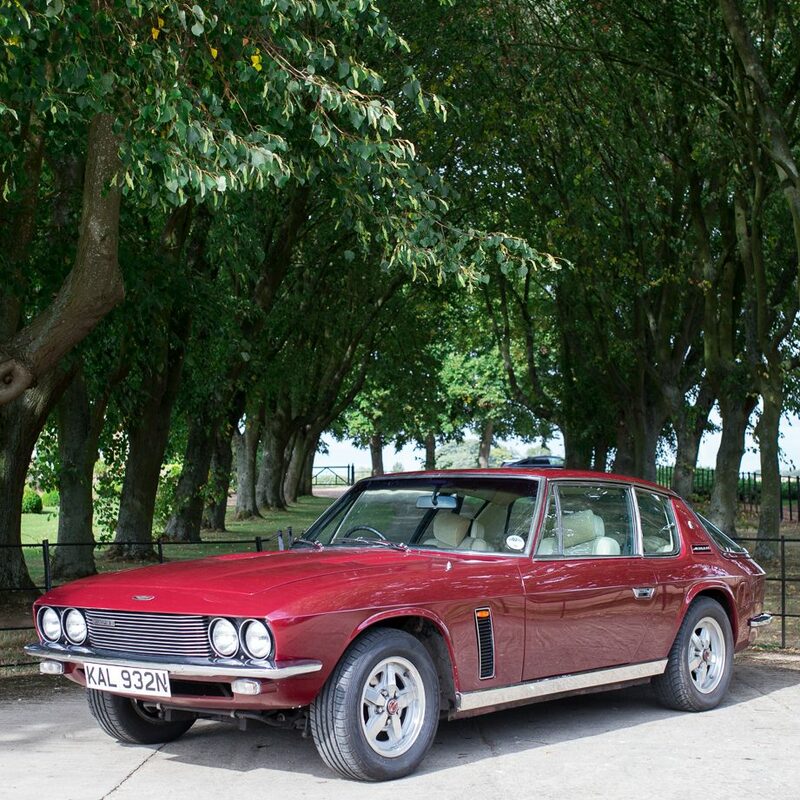 This MKIII Jensen Interceptor has had the same owner since 1983 with receipts and paperwork going back to this date. A lot of money has been spent over the years maintaining this car and there are original letters from Jensen Motors to the latest owner which make for an interesting read. Invoices for parts used on the car go back to 1989. The latest receipts are from 2015 for having the brake calipers refurbished. It looks like the car has had a considerable amount of work done on it in the 1990’s but there are only receipts for parts and no labour so we assume the work was done by the owner. In 1993 it would appear that there was a lot of work done on the engine as he bought pistons, valves, bearings, water pump and had the crankshaft re-ground. In 1990 he bought new wings, door skins and a front top panel, so some bodywork was done. There are also receipts for paint. In 1995 it had a new engine wiring loom fitted. All the usual services items have been recorded, as you would expect over the years from servicing the car. Less work has been done in recent years and the car in its present state drives well, but has areas that require attention throughout. This car would be an excellent example to enter the Jensen marque with and work with us to attend to the required areas over whatever time period suits. It is worth a visit to drive and view car as prices are rising and good examples of lower priced cars are becoming rare!